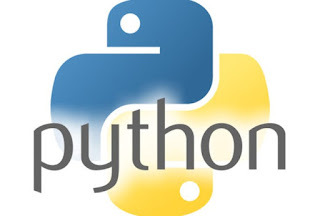 Hi friends,Today we are going to see the procedure to install latest version of python in your windows environment.Before going to install the Python Software in you system.Let us the few history and details about python programming language. Python was invented in the early 1990's by Guido Van Rossum. He was a former Google employee. One day he got an idea, that why won't he develop a new programming platform with new features and user friendly environment. A new programming platform which will work efficiently and easy to write programs in high level language (User understandable/General English language).Then he decided to create one and he quit his job. The final result is a new programming platform knows as Python. The name of the language has a particular that the programming line in the language doesn't follow any structure like the patterns on the Python Snake. Since the name is Python. Now a days, It is the most used and powerful language because it provides a huge library and modules. Since the inventor of python language platform makes it as free and open source. There is a huge developer community for python all over the world. Each individual can develop own modules and upload into the python library. Since it is a open source we can access the Modules and Packages. Python can reduce the program code of the program to 1/4th when compared to other programming languages. Let us see the procedure to install python version 3 in windows operation system. Step - 1: Firstly, one should connect to internet and goto the link "www.python.org"
Step - 2: Click on the "DOWNLOADS" and choose "WINDOWS"
Step - 3: Click on the "PYTHON - EXECUTABLE INSTALLER"